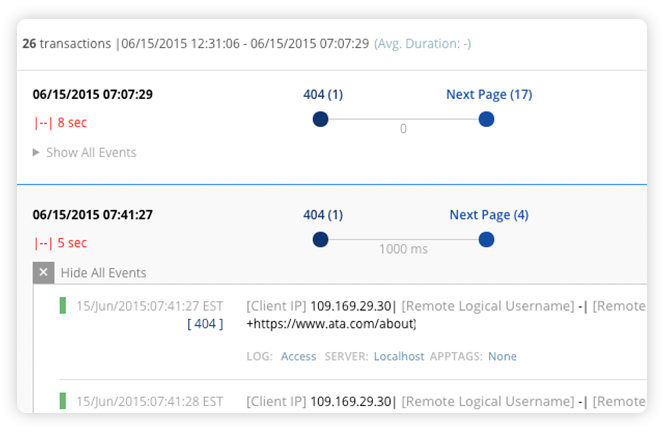 Search Any Log, One View for Raw Log Data – Get Insights! 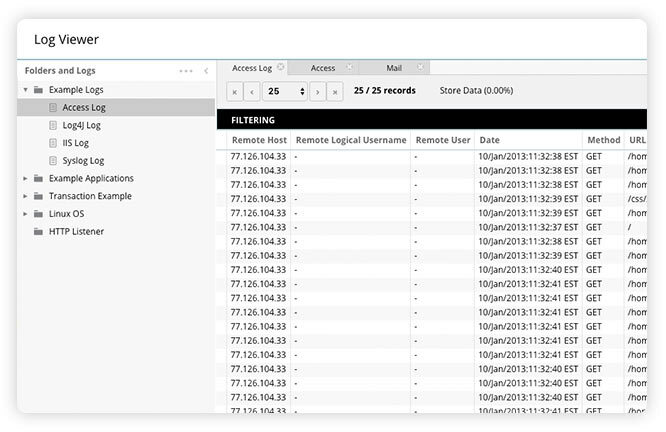 View and analyze multiple logs from multiple remote data sources in different tabs – get an enhanced view of several logs. Use multiple tools to access data, including navigation, search, filters, live tail and more. Add AI to every search and discover issues before they turn to problems – errors, risks, exceptions, anomalies, trends, and patterns. Search through real-time, indexed log data. Filter. Understand and act. Fast. Build dynamic search queries to focus on time frames, servers, apps, and other log sources. XpoLog’s Augmented log search amplifies the “human search” by layering machine intelligence on top of the search results. 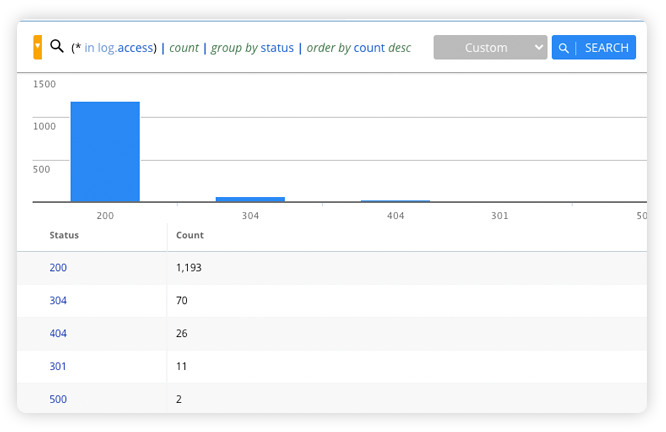 These insights provide additional context within the search query, allowing you to deepen the log analysis process in a single click. Find what you searched for, discover what you haven’t! XpoLog allows for two separate types of searches: from the log viewer and from XpoLog search. 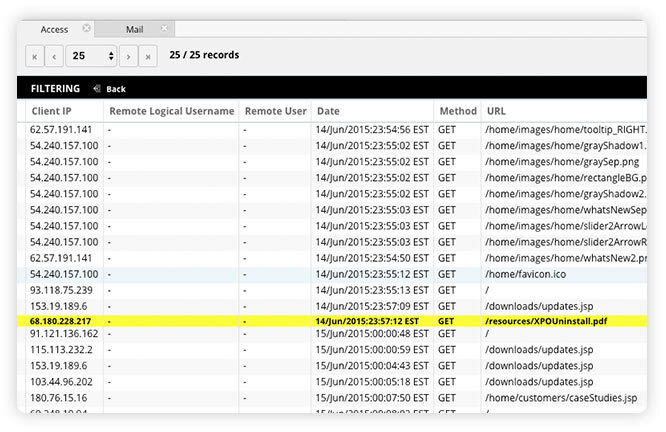 From the log viewer – Investigate a single log, filter out specific strings and dig in deep. Open multiple log viewer tabs, to compare various details of different logs. Each log can be tailed for a near real-time view. From XpoLog log search – you can search and view multiple logs and file sources. XpoLog’s patented technology adds an analytic layer for discovering errors, exceptions, and anomalies. Compare logs faster and easier! XpoLog Log Viewer offers simple tree-based navigation of all types of logs, across multiple systems and applications. View your logs in a tabular/list format. Easily navigate your way through the log using toolbar navigation buttons. Open any number of tabs to view and compare as many more logs as you wish, even when sources from different remote data sources. 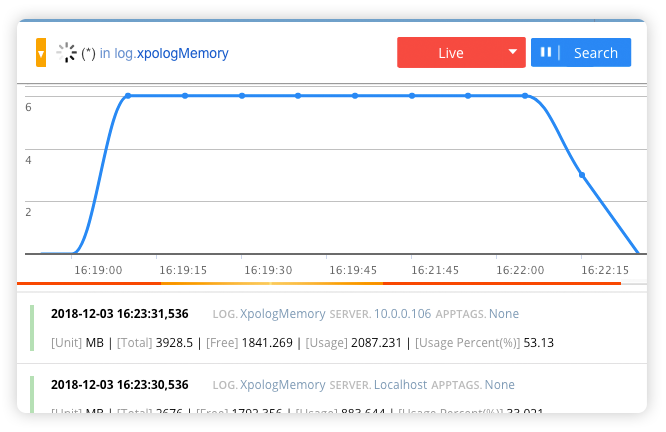 XpoLog makes it super easy for you to filter log files in the log viewer, with pre-defined log filters. Each log type has specially designed log filters. Extract insights faster, no prior knowledge needed! 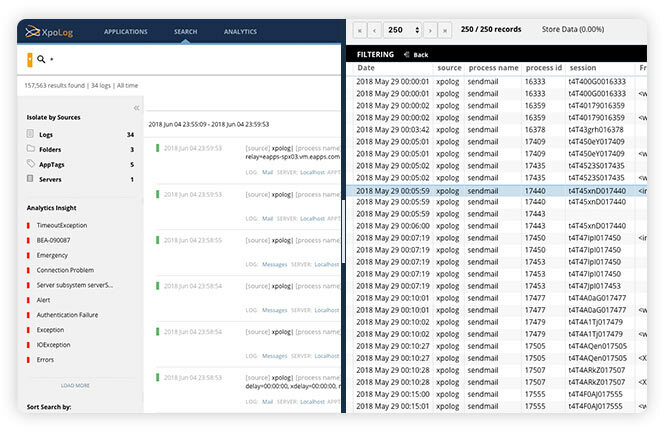 Our log viewer and log search offer a real-time view of your logs. XpoLog retrieves your data as it arrives and refreshes automatically according to the time selected from the collection policy. You can update the latest data or customize your preferred time-frame. Using XpoLog’s log search, you can correlate transactions between different logs/events. View the results distributed over time. Discover when certain transactions started and when they ended. Discover when different logs from different sources experience similar anomalies. AI-powered search – discover errors, anomalies, trends, exceptions. Log collection, all types: agent-less, agents, forwarders, files, Syslog, and more. Unlimited log data parsing power with our VDE™. Archiv & retention for as long as you need with efficient compression. 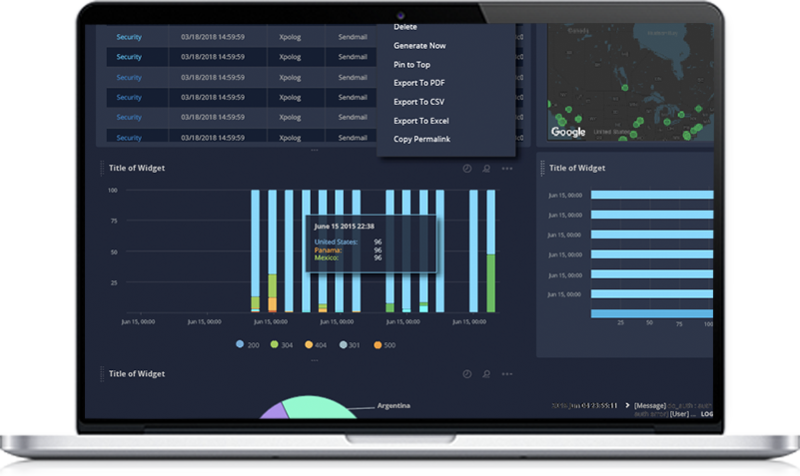 Smart indexing with an immensely rapid search engine for all log data. Out of the box apps and dashboards. Enterprise log viewer for any type of log.